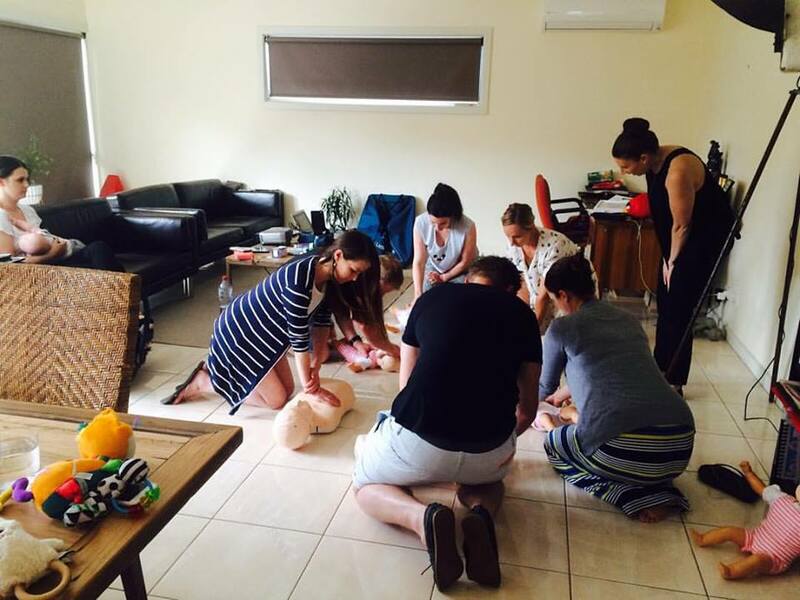 Most of you know I hosted a Tiny Hearts Paediatric first aid course here in Geelong. I had asked them about Public course, but due to a perceived lack of interest they had not done one – Well you guys certainly showed them! With 14 people attending the day, and at least another 7 who had said a vehement ‘yes’ but due to the date given to us couldn’t come, we had an amazing day. “Tiny Hearts First Aid has a clear and powerful mission: to provide new and expecting parents with the vital knowledge, skills and confidence they need to feel empowered to quickly identify and manage any medical emergency your precious little one might face. Owned and operated by experienced paramedics, we have witnessed firsthand the devastating results when parents do not equip themselves with paediatric first aid skills. It is our mission to save lives through paediatric first aid. 3.5 hours of fun information and hands on training. 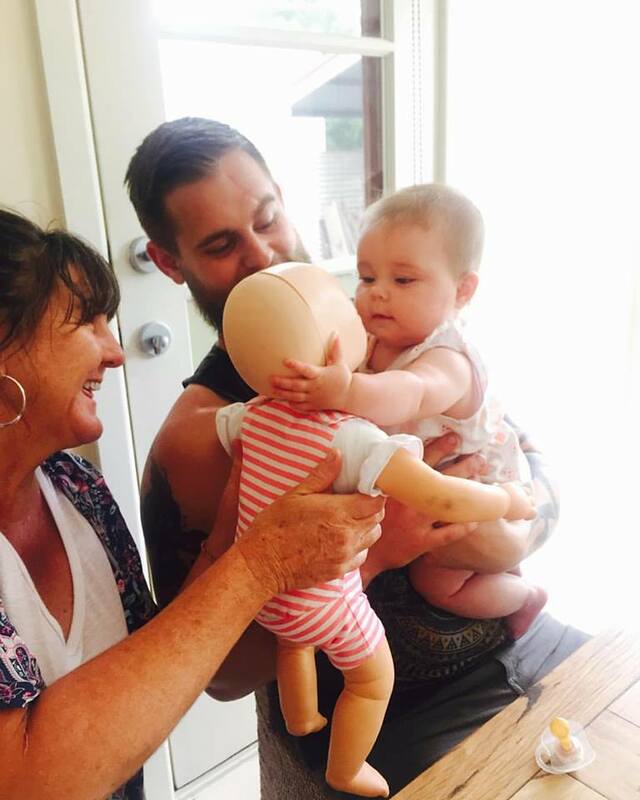 We trained on dolls, we watched videos, we asked questions – everybody went home safe in the knowledge that if they took their baby to the beach, or found them choking on toast, or gave them too much pandadol, that they knew exactly what to do. Unlike some first aid course that are long and boring, this course is interactive and Rach deserves a comedy gold star because she is one funny chic. If you do the course, you come out with a certificate that it nationally recognised (HLTAID001: Provide Cardiopulmonary Resuscitation), and you also get discounts of a range of things – The ‘Snuza’ hero, a breathing monitor for babies comes $20 cheaper than RRP and all proceeds go to the amazing local org Rivers Run. You also get a hefty discount off the Tiny Hearts First Aid box, filled to the brim with everything you need in case of emergency. I’d love to host another one. But to host another course we need at least 10 people locked in. I”d love to at least double this. We can have a bigger venue, we can cater the event, we can do anything you guys want, but we need you to commit! The course is $85 per head. We can turn it into a catered event, and give you guys some delicious food and drink for around $95 a head, and host it at a private club in Geelong. Or, we can host it at home again. It’s you choice. So, what are you waiting for? Join the tribe today! Please send an email to madelin@lemondeentier.net to express your interest. If we get enough emails, we’ll grab a date from Tiny Hearts. 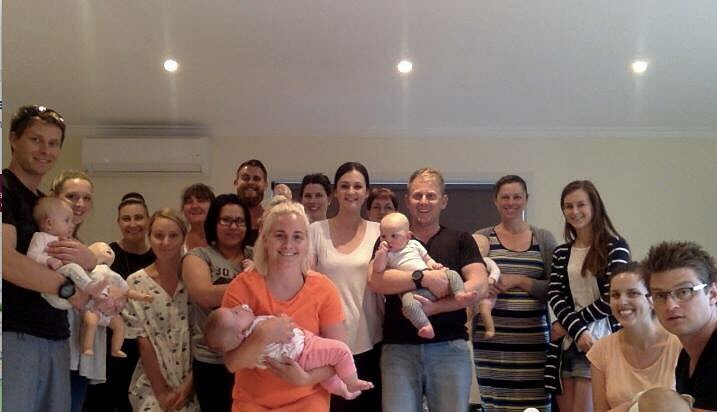 And if we don’t, well them hey – we hosted an excellent event, and there are 14 Proactive Parents roaming Geelong, ready to rescus, revive and just be extra good lookin’. Oh, and I have no affiliation with Tiny Hearts – I just think it’s a bloody awesome idea. Tiny Hearts is saving lives through accredited, engaging and invaluable paediatric education and training.